*New 2019 Jaguar F-TYPE Coupe 3.0L 340HP with 36 month lease, $4,995 due at signing includes $3,511 down, $0 security deposit, $895 acquisition fee and first month's payment, excludes retailer fees, taxes, title and registration fees, processing fee and any emission testing charge. Actual rates and payments of closed-end lease may vary. Supplies are limited. For well-qualified lessees as determined by approved lender. All amounts shown are estimates, retailer sets actual amounts. Lessee responsible for insurance, maintenance, excess wear and excess mileage over 30,000 miles at $0.30/mile. Based on MSRP of $70,150 (excludes destination and handling). Total of lease payments $21,204. Residency restrictions apply. Lessee has option to purchase vehicle at lease end at price negotiated with retailer and approved lender at signing. Termination fee may apply. Customer must take new vehicle delivery from retailer stock by 4/30/2019. Jaguar or approved lender may rescind or amend this offer without notice. Model pictured may vary from offer. See your participating Jaguar Retailer for complete details, or call 1.800.4.JAGUAR / 1.800.452.4827. © 2019 Jaguar Land Rover North America, LLC. *All new 2019 Jaguar I-PACE eligible for financing at the APR shown for well-qualified buyers as determined by approved lender. Payments per month per $1,000 financed, regardless of amount of down payment, can be as low as $41.67 at 0% for 24 months or $16.67 at 0% for 60 months. All amounts shown are estimates. Retailer sets actual amounts. Supplies are limited. Taxes, title, license and fees excluded. Residency restrictions apply. Customer must take new vehicle delivery from retailer stock by 7/01/2019. Model pictured may vary from offer. See your participating Jaguar Retailer, visit JAGUARUSA.COM or call 1.800.4.JAGUAR / 1.800.452.4827 for qualifications and complete details. Jaguar or approved lender may rescind or amend this offer without notice. © 2019 Jaguar Land Rover North America, LLC. Those in search of a new Jaguar vehicle in Charleston WV, Parkersburg, WV, Hurricane WV, and Huntington, WV don’t need to look any further. Here at our luxury car dealership, we have a wide selection of vehicles to choose from, and a team of specialists who have the knowledge and expertise to assist you throughout your car buying experience and help you find the new or used car that fits your lifestyle. Of course, we don’t limit ourselves to new and used car sales. You can also find auto finance options, car service, auto repair, and access to parts and accessories that you need for your vehicle. The first thing you’ll notice when you step into the Jaguar Charleston showroom is an amazing selection of new Jaguar models to choose from, including the Jaguar E-PACE, F-PACE, F-TYPE, XE, XF and XJ. We carry a wide range of models that make cruising Charleston, Parkersburg, Hurricane and Huntington, a more enjoyable experience. A test drive is never more than an inquiry away, meaning you can learn more about any model you’re interested in with ease. Give us a call at 304-746-0500 with questions, or visit us in person at 7 Dudley Farms Lane, Charleston, WV 25309! 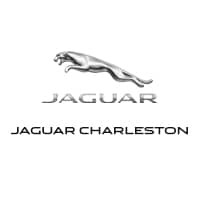 If a new car isn’t what you had in mind, we encourage you to explore the vehicles in our superb inventory of used Jaguar models and used cars, trucks and SUVs by other top automakers for the Charleston, West Virginia area. Each pre-owned vehicle at our dealership is carefully inspected to ensure that you are getting the quality and reliability you deserve. Each car on our lot exceeds our high standards and is sure to meet all of your needs as well!